Your child's sleep is important for their development and your sanity, so wouldn't you want their rest to be the best? That's why the Milliard Dual Comfort Mattress is not only designed for your newborn, it's also designed for your infant and toddler as well, so it's comfortable now AND in the future. After all, babies grow up quick! 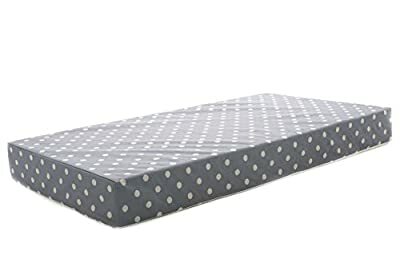 The Milliard Cot Bed (Crib) Mattress uses a unique blend of foam to create the perfect combination of comfort, and the firmness recommended for babies and toddlers. 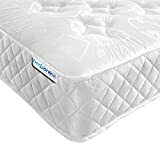 Say goodbye to uncomfortable spring mattresses and cheap quality synthetic blends. 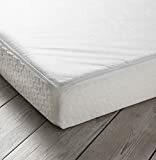 The reinforced mattress encasement is waterproof on the top and sides, but allows air and heat to ventilate on the bottom. The encasement's backside is made from anti-flame fibers/materials and without any chemicals. Milliard foam supersedes all with superior high density construction that will not lose its shape. Milliard Foam is CertiPUR-US® certified and meets or exceeds all UK and European safety certifications and regulations.